If I’m feeling in the mood for something after dinner to fill me up, this is my go-to treat. It’s super rich, super quick to make and makes me feel satisfied without resorting to any sugary indulgence. 1. 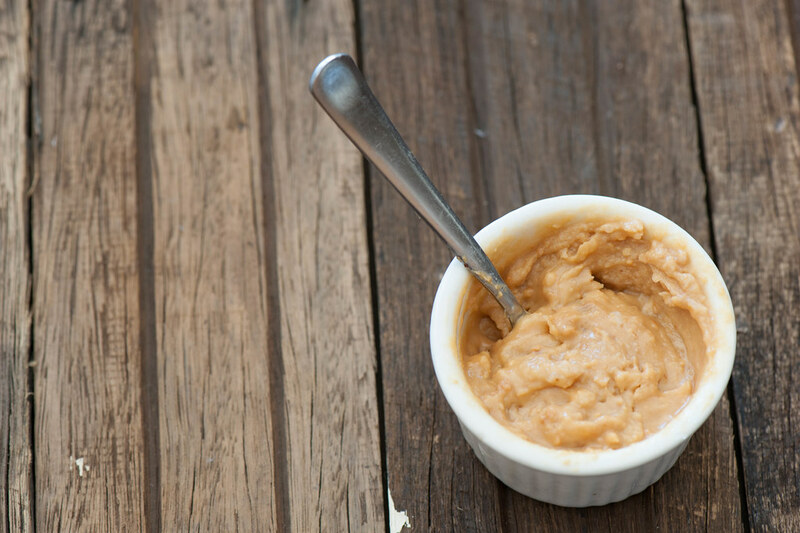 Divide peanut butter and coconut oil between 2 small glasses or cups. extra crunch – add some granola, roast peanuts or linseeds (flax). creamier – stir in some double cream or greek yoghurt. nut-free / chocolatey – replace peanut butter with finely chopped / shaved dark chocolate. no coconut oil – replace with unsalted butter or whipped cream. Keep all ingredients in the pantry. I have stopped keeping dark chocolate in the house to be uber-sure my chihuahua doesn’t get into it….so this could be a new staple! 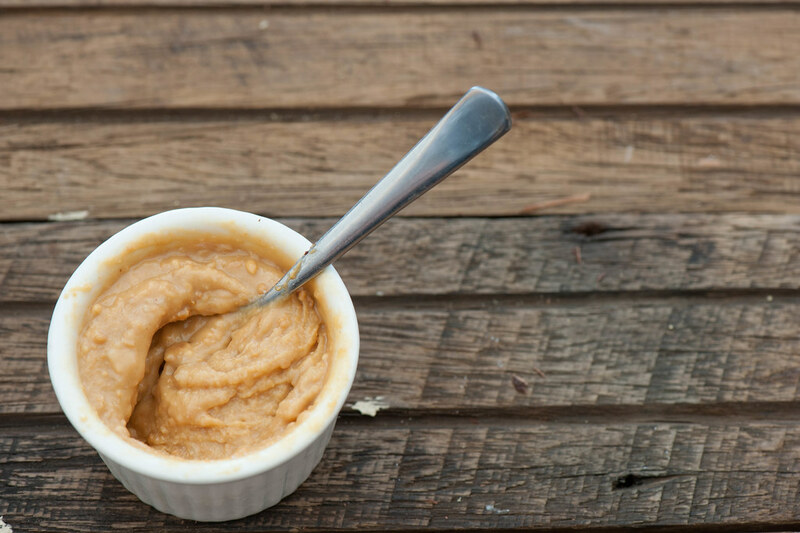 Jules I’m curious your thoughts on peanut butter….I’ve heard a lot against it (aflatoxin, rancidity) but seems maybe those concerns are overblown the more I read. The aflatoxin concern is real so I make sure I buy my peanut butter from a specialist who I trust would do the quality control to avoid this one. And with rancidity, you can detect that yourself, however again a good quality supplier makes all the difference! I couldn’t live without my peanut butter.